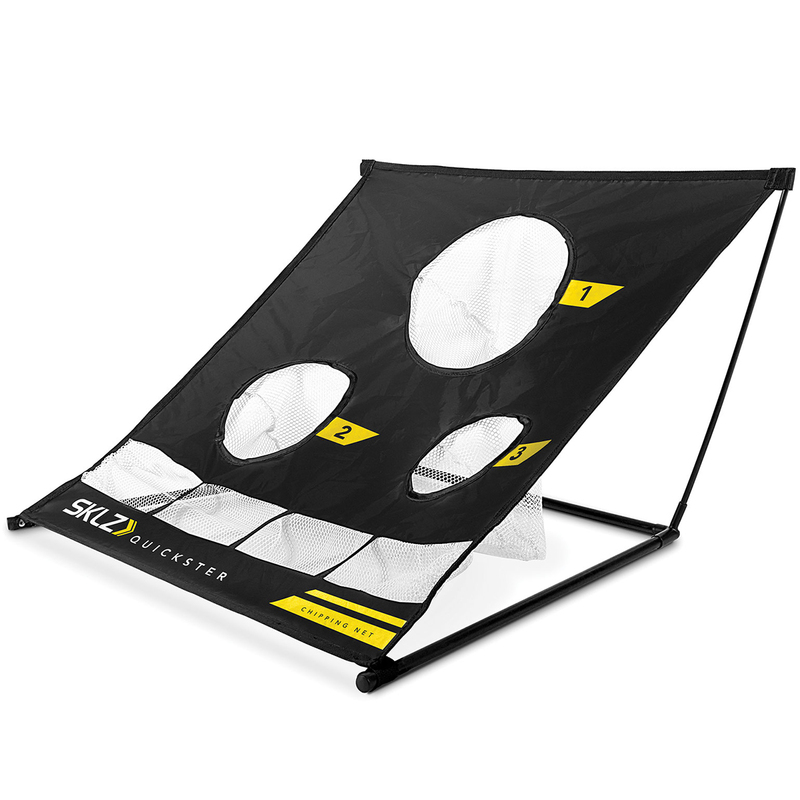 Practise in the comfort of your home or outdoor with the fantastic Quickster chipping net from SKLZ. This net features 3 different sized multi-targets to help you practise your short game, and is easy to assemble and breakdown. The net features a patented 'tension-tite' frame with strong mesh pockets, and has ball catching slots for catching missed shots to the targets. 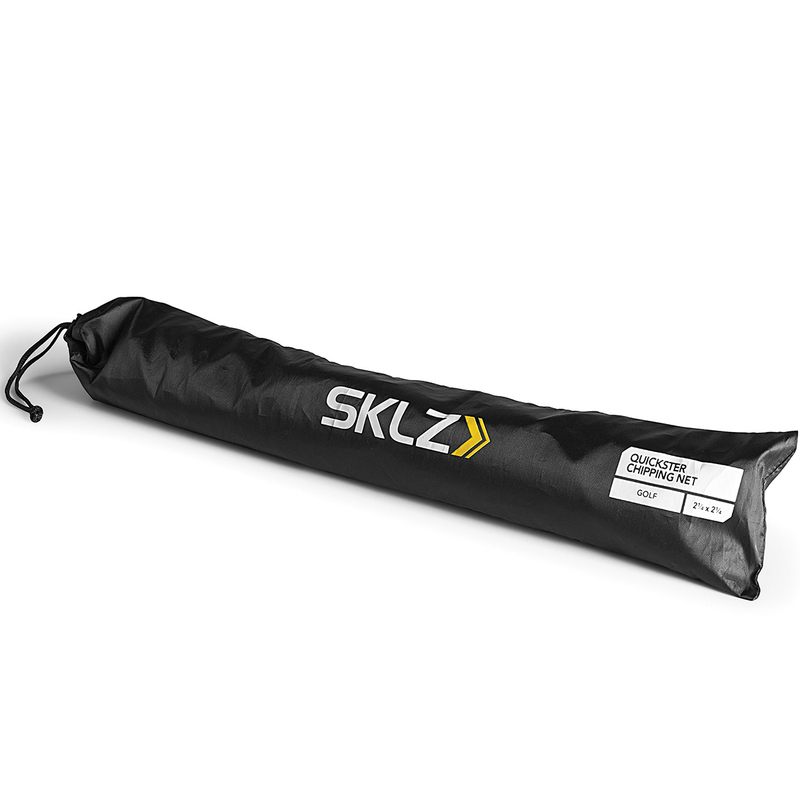 Plus has a SKLZ branded bag for added convenience when in storage.